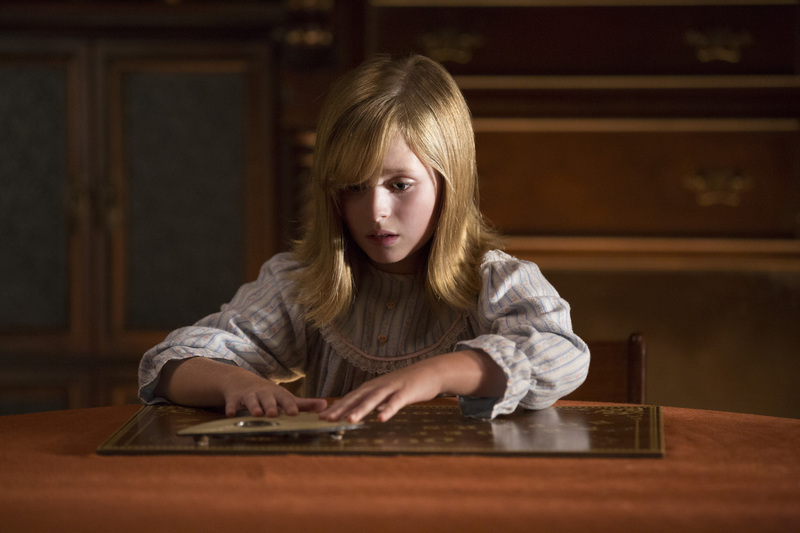 Home / HORROR FILMS / Young `Horror' Veterans Play Sisters in "Ouija: Origin of Evil"
Young `Horror' Veterans Play Sisters in "Ouija: Origin of Evil"
Playing the pivotal roles of sisters who get embroiled in a demonic possession in Universal Pictures' Ouija: Origin of Evil are teen stars Lulu Wilson (Deliver Us from Evil) and Annalisse Basso (Oculus), who both have done horror films prior. 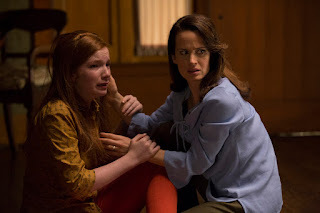 In the terrifying new tale and the follow-up to 2014’s sleeper hit Ouija, a widowed mother named Alice Zander (Elizabeth Reaser) and her two daughters Doris (Wilson) and Lina (Basso) add a new stunt to bolster their séance scam business and unwittingly invite authentic evil into their home. When the youngest daughter Doris is overtaken by the merciless spirit, this small family confronts unthinkable fears to save her and send her possessor back to the other side. The filmmakers knew the role of Doris would be the most difficult to cast. “The script asks a lot from someone so young, so we auditioned countless actresses,” states director and screenwriter Mike Flanagan. While horror films are off limits for 10-year-old, she hopes her parents make an exception for Ouija: Origin of Evil. “I won’t let them get away without letting me watch it,” Wilson states determinedly.